The N.A.C.I. band program includes students from grade six to twelve. Band students have class three times per cycle and play a wide variety of challenging and educational repertoire. The N.A.C.I. band program prides itself on its values of inclusion, teamwork, and musical excellence. The N.A.C.I. band program would not be possible without the outstanding work of the Band Boosters Executive. If you are interested in helping out with the N.A.C.I. 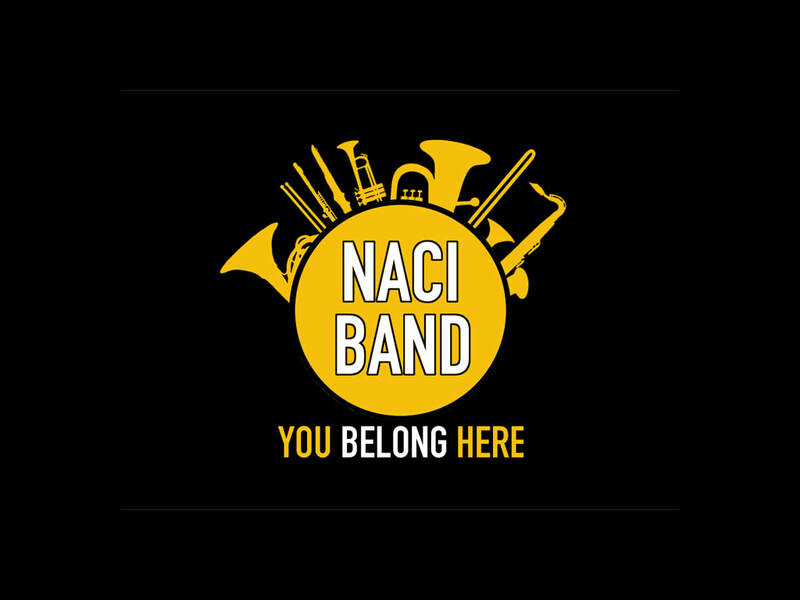 Band Boosters, please contact Kelli Jakubowski at NACIBandBoosters@gmail.com. Students are reminded that attendance at all performances is mandatory. Parents, guardians, family, and friends are welcome and encouraged to attend all performances. Do you ever get the feeling that your child may have forgotten to bring home an important letter from school? Have no fear! Below is a regularly updated list of forms you might need from the band program. Documents below apply to students of all grades unless otherwise indicated. Grade 6, 9, 10, 11, and 12 students are to wear all-black attire to all performances. Grade 7 and 8 students must wear black bottoms and shoes to all performances with an N.A.C.I. band t-shirt. Shirts are available for purchase from the school for a cost of $17.00 each. Students who are unable or unwilling to purchase a band t-shirt should instead wear a plain black shirt to all performances. N.A.C.I. is proud to offer a number of fundraising opportunities to help students offset the cost of trips, instrument rentals, and more. A special thanks goes out to all the volunteers who make our fundraisers possible! New this year, the totals of all student band accounts are being made available online. Last names have been replaced with a last initial in the interest of security. The account listings (see download link below) will be updated following all fundraisers. N.A.C.I. students have the opportunity to take part in the annual Westman Regional Honour Band. Honour band provides students with the opportunity to perform challenging repertoire with musicians from up to 25 other schools. This year’s program takes place on February 9-10, 2018 at Brandon University and has a registration fee of $25.00. Students are responsible for their own travel to and from the event and are encouraged to carpool. Students interested in attending Honour Band this year should sign-up on the band room bulletin board in October. Band Director's Award - awarded to a Grade 7 or 8 student who has shown leadership musically and personally in the band program. John Philip Sousa Award - awarded to a graduating student who has shown musical leadership throughout their senior years at N.A.C.I. Parents and/or guardians are welcome to contact Mr. Hodge at any time via email (preferred) at jhodge@bpsd.mb.ca or by telephone at 204.476.3305.